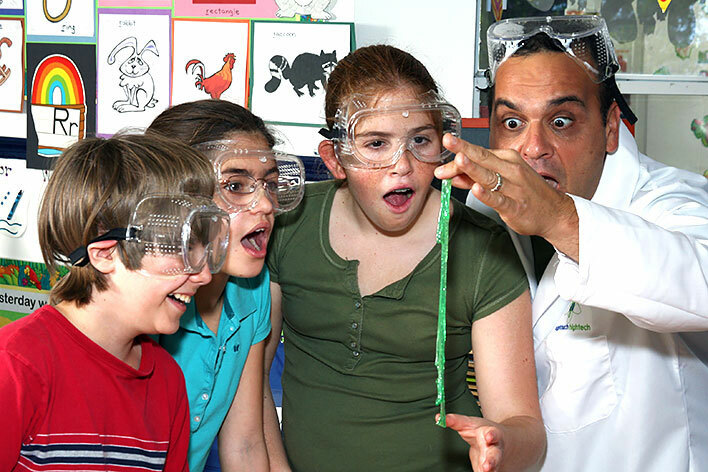 Prepare your students to roll up their sleeves to become REAL scientists performing REAL experiments! 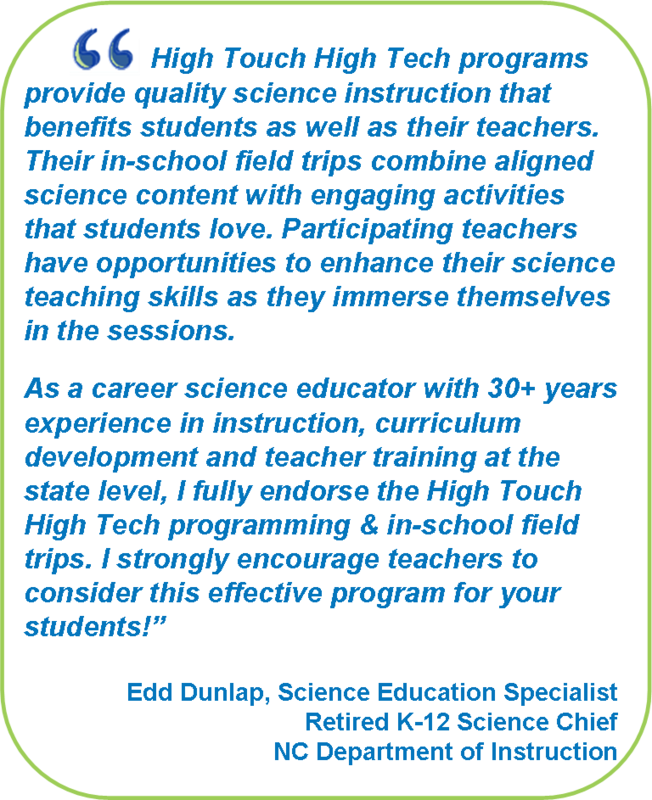 Known for our innovative approach to science, High Touch High Tech of RDU is the #1 choice among teachers, administrators, parents and especially the students! High Touch High Tech of RDU allows students to discover the realities of science in their everyday lives by providing a hands-on experience that goes beyond the classroom! 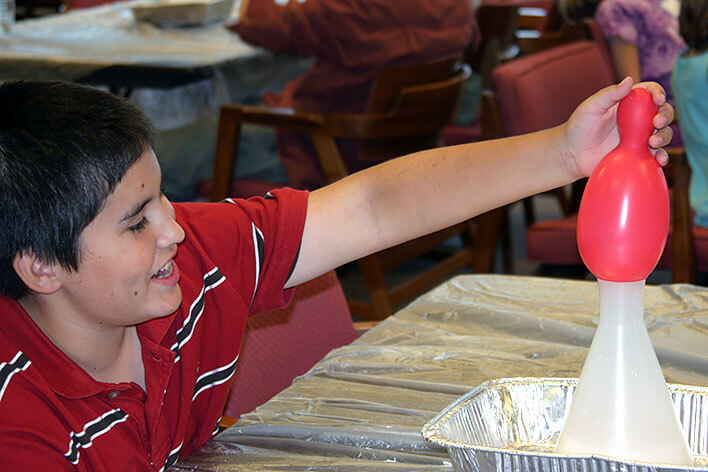 Middle school students in grades 6-8 can become real scientists and have fun while learning the fundamentals of Earth & Space Science, Biology, Physics, & even Chemistry! Our programs present young teens with problem-solving skills as well as build self-esteem and help establish a positive regard for learning. Each HTHT experience provides students with the opportunity to interact with their peers, share ideas and contribute to inquiry based discussions that support the way in which students naturally learn. Carefully designed for grades 6-8, High Touch High Tech programs create creates a student-scientist partnership, offering many opportunities for students ranging from direct participation with the professional scientific community, improvement in student attitudes and scientific growth, and offers educators a way to enhance the classroom experience for their students. In-class workshops offer middle school students a fun, challenging, hands-on introduction to the skills they will need in high school, college, and the workplace. We use materials that are concrete, safe, and relative for the entire class. Conducting an experiment first-hand encourages the class to develop their scientific interest and inspires them to learn. Boost your students confidence for standardized testing with our innovative & totally hands-on in-school field trips! Our programs are designed to enhance your curriculum & go hand-in-hand with the NEW NC Essential Standards for Science. New - Climate Commandos© Students will gain an understanding of how the climate of the earth is changing by preforming some cool experiments. Young scientists will be able to conceptualize environmental occurrences of the Coriolis factor and the gulf stream, and discover how global warming will affect the earth. New - DNA Detectives© Using sophisticated DNA forensic techniques, students will have fun as we investigate DNA extractions, touch REAL DNA, explore electrophoresis, and build our very own DNA molecule to eat! Chemistry Sensations© Whose turn is it to set the table, the Periodic Table that is! Explore the world of chemical elements. Learn more about atoms, build molecules and more! Design Time© Discover amazing architecture. Have fun as we design buildings, bridges and more! Globs, Goo & Guts© Roll up your sleeves and make all kinds of icky sticky stuff! Have a hands-on look at real cow guts! Learn the systems of the body. Indicator II pH Day© Find out what an indicator is to chemists. Discover the pH scale; learn about acids and bases while using common substances. Mix chemicals and more! Matter Matters© Discover all the states of matter including plasma. Explore evaporation rates and liquid densities! Newton in the Nutshell© Step back in time to the days of Newton. 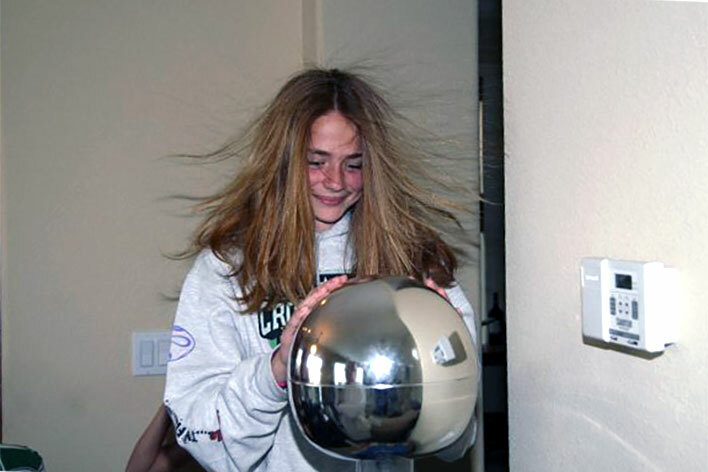 Have a hands-on look at inertia and motion. Discover gravity and have FUN as we push, pull, and get the job done! We use materials that are concrete, safe and relevant to the everyday lives for students of all ages. Upon completion of the field trip, students will receive a cool science certificate and ALL programs provide make-and-take experiments. Programs may be reserved by using our online reservation form, by calling our office at 800.444.4968 or via email to info@ScienceMadeFun.net. Our 2017-2018 Calendar is Filling Up Fast! Contact our Office by Phone at 800.444.4968 or Save Time & Book Online.